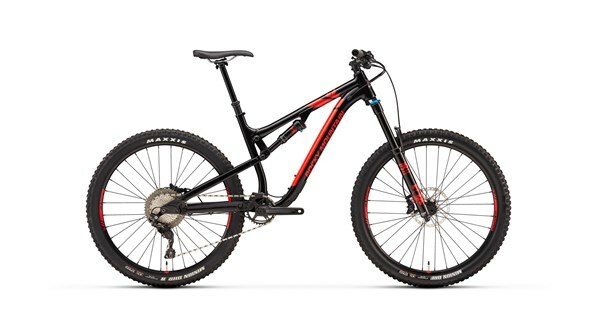 The Rocky Mountain Altitude Alloy 50 is an enduro bike that can do the rounds as your everyday MTB. The full sus alloy frame gets RIDE-9™ technology that allows 9 different adjustments to tweak the geometry and suspension rate. Fox suspension front and rear deliver fantastic control when hitting the mountains. This MTB is built for all your trail riding needs, with a Shimano drivetrain and brakes that’ll keep going. Size Specific Tune ensures that riders of all sizes get the right balance of small-bump compliance, mid-stroke support, and end-stroke progressiveness. Our design team does custom shock tunes based on real world field testing, and adjusts each tune for specific frame sizes.